The cryptocurrency market has experienced catastrophic losses during Q1 of 2018. However, a sizeable rally is materializing that could indicate a trend reversal. The cryptocurrency markets reached an astonishing high on January 6th with a market capitalization of over $800 billion. From this point onward, the market would enter a tailspin and lose 2/3 of its value over the next four months. Over the past 24 hours, the market has begun to experience a small rally. 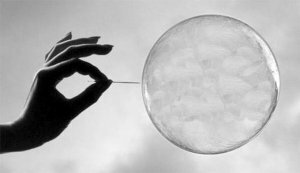 Pundits claimed the market was bound to burst. It’s impossible to know what exactly triggered the downturn. However, what is determinable is that the newness of the technology may have had a material effect on over-investment. Additionally, intensive media coverage which put cryptocurrency at the forefront of public attention, in conjunction with the increasing ease of purchase from companies like Coinbase, likely pushed the market to all-time-highs. What made matters worse is that no one had a way to evaluate how much a cryptocurrency is worth. No one had seen an asset, digital or otherwise, quite like cryptocurrency. Many investors feared they could miss out on returns in the thousands of percent. The underlying issue could also be a case of short-term memory. From this date last year the market is still up 10x. Even after four months of catastrophic losses, cryptocurrency has outperformed almost every other traditional asset. Within the last 24 hours, a 6% increase in the market has materialized. The market seems to be experiencing resistance at $7,000 for Bitcoin and $400 for Ethereum. At these prices, it appears that investors are willing to take the risk to buy-in and HODL. The bounce from this resistance line could indicate a reversal. Within the last 24 hours, Bitcoin prices increased from $6,930 to $7,407, an increase of 5.5%. Ethereum has gone from $383 to $398, a 3.1% increase. For the Ethereum-Bitcoin trading pair Ethereum has lost value. The exchange rate between the two has gone from 18 Ethereum to a Bitcoin to 18.4. This is an all-time-low for Ethereum which traded at 10 Ethereum to a Bitcoin (0.1 BTC) at its peak this year. 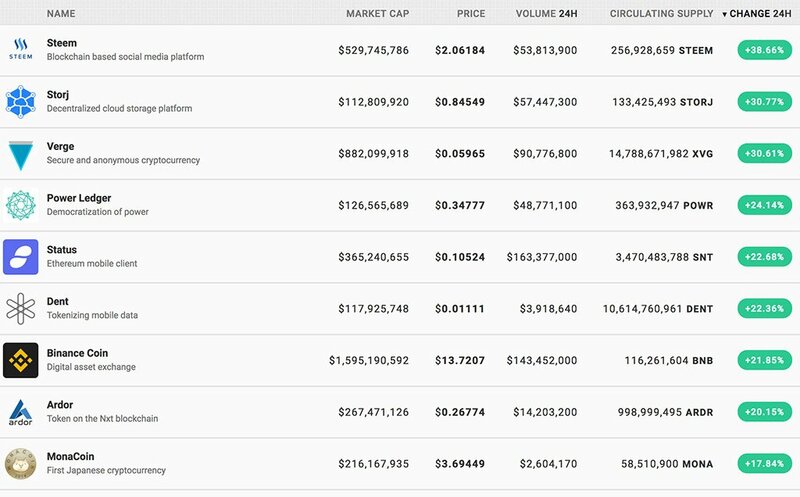 Of the top 20 by market cap: Stellar, Dash, TRON, NEM, and Binance Coin all see gains in the double digits. The most significant gain seen in the top 100 is Steem, a social media platform powered by blockchain, which is up over 45%. 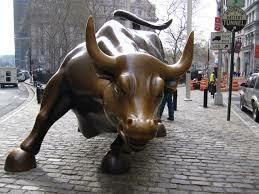 This could be a bull trap, or maybe this upswing will carry investors to greener pastures.